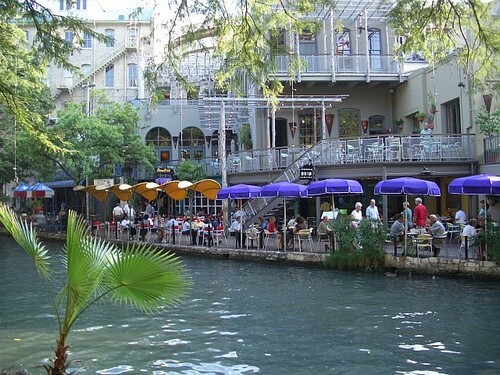 The San Antonio Riverwalk, Texas. The Riverwalk is San Antonio, Texas’ most popular and visited tourist destination. Since the 1950s, the San Antonio Riverwalks have been a great hit with locals and tourists alike. It offers the wonder, history and beauty that give San Antonio its unique character and identity. In 1990, the first Carnaval del Rlo was held in the San Antonio Riverwalks. In 1992, the San Antonio River Authority began repairs and drainage work on the San Juan Ditch and on the Asylum Creek. The ditch was completed in 1994. In 1995, the southbank project between the Navarro, Presa and Crockett opened. New buildings were designed to blend with the city’s existing architecture. Newly opened establishments in the project include Fat Tuesday, Country Line, Peasano’s, Hard Rock Café, Howl at the Moon and Starbucks. A year later, the Presidio Plaza opened with and brought Planet Hollywood, the Presidio, the Edge, and Dos Chihuahuas into the scene. In January 1997, the San Antonio Drug Company building reopened as the Homewood Suites. Hotel Valencia, and the Water Mark Hotel and Spa.